Known for its mouthwatering delicacies such as moussaka and baklava in modern times, Greece is, however, best known for her ancient civilisation, classical architecture and, of course, matchless beauty. 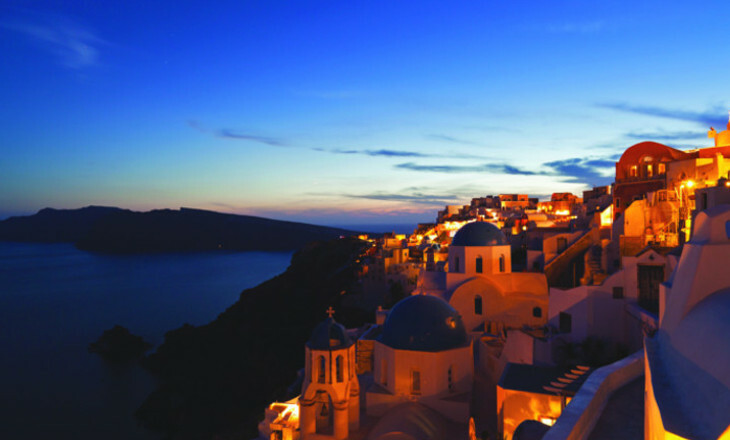 Located on the Aegean coast, Greece is also synonymous with breathtaking islands and, of course, cruises. 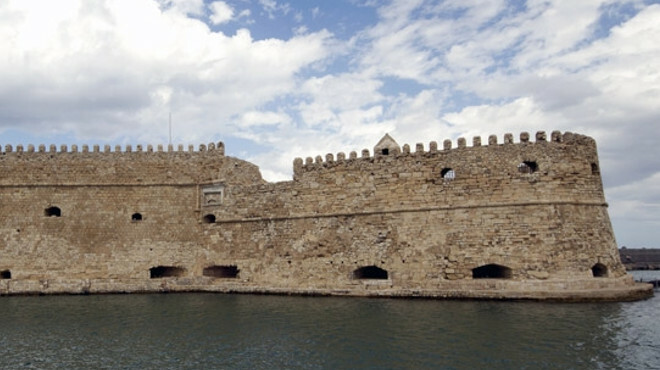 Sailing on a pleasure boat will treat you to some of these Aegean gems, which are also steeped in history. You will also visit sun-washed beaches, get up close and personal with an active volcano and tour the birthplace of the first civilisation in Europe. 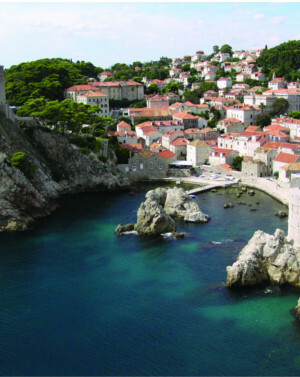 We won’t play spoilsport and will let you discover our exciting itineraries yourself. But, wait, there's more. The cruises we have in store also halt on the coast of Turkey, where the port town of Kusadasi beckons with its seductive charms. Not far from Kusadasi are the stunning ruins of Ephesus, one of the 12 cities of the Ionians; the lone surviving pillar of the temple of Artemis, one of the wonders of the ancient world; and the House of the Virgin Mary, who spent the last years of her life here. Don’t think twice before you book because we’ve selected the most exciting and affordable cruises for you. Welcome to the Cradle of Western Civilisation and the birthplace of democracy. One of the world’s oldest cities, with a recorded history of more than 3,400 years, cosmopolitan Athens is dense with ancient monuments, chic cafes and unique shops. Classical Athens was a powerful city-state and a centre of the arts, education and philosophy in the 5th and 4th centuries BC, when it was home to Plato’s Academy and Aristotle’s Lyceum. The city’s Classical heritage is still part of the fabric of Athenian life, thanks to well-preserved monuments and works of art, particularly the Parthenon, a key landmark of early Western civilisation. 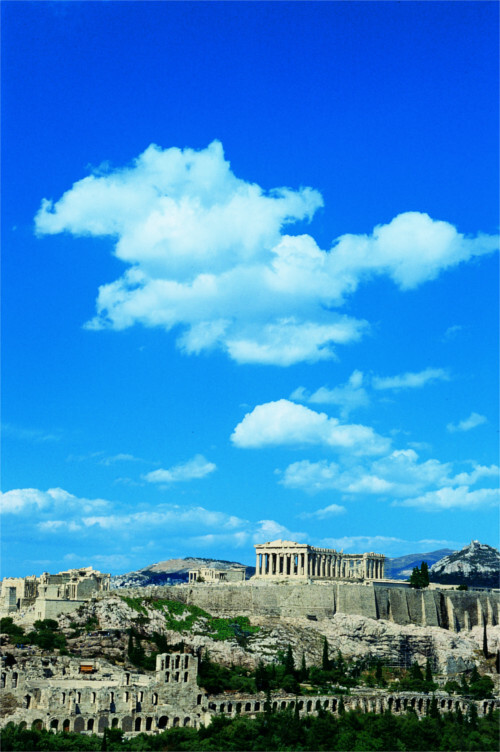 It gazes down upon this sprawling international capital from high upon the Acropolis, a UNESCO World Heritage site. Make your way through the lively, picturesque Plaka neighbourhood to the Acropolis and the New Acropolis Museum, one of the best museums in the world, and its singular collection of ancient art and artefacts. Welcome to the centre of the Cyclades and its chicest, most cosmopolitan island. 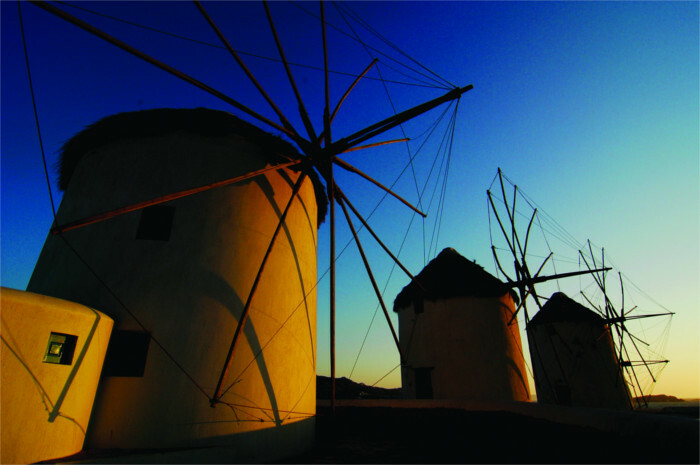 Picture-perfect Mykonos is known for its magnificent beaches, the lovely rolling hills of its countryside, and its windmills. Santorini is as you imagined, as you’ve dreamt, bright white buildings with blue doors lined up along the edge of the cliff, staring back at the blazing sun as it descends into the Aegean. Santorini is as you imagined, as you’ve dreamt, bright white buildings with blue doors lined up along the edge of the cliff, staring back at the blazing sun as it descends into the Aegean. The bustling port of Piraeus, made famous by classic films like Never On Sunday and Stella, is a brief metro or taxi ride from Athens. 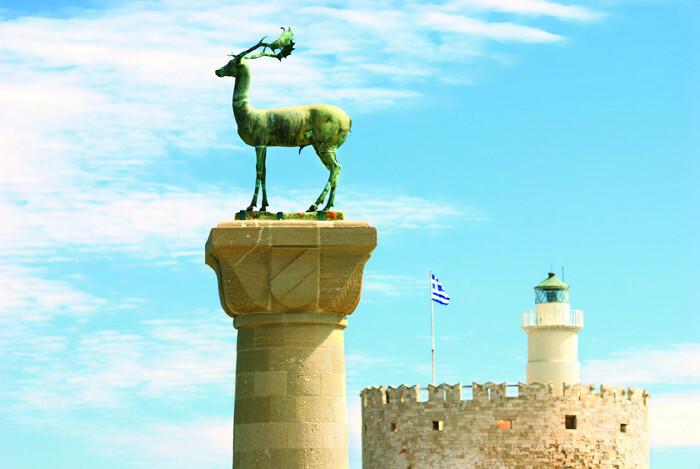 The largest Cretan province, Heraklion is the birthplace of the Minoan civilisation, the first in Europe. The magnificent Palace of the Grand Masters, also known as Kastello, in the old walled city of Rhodes, will make you think you have stepped back in time. The magnificent Palace of the Grand Masters, also known as Kastello, in the old walled city of Rhodes, will make you think you have stepped back in time. 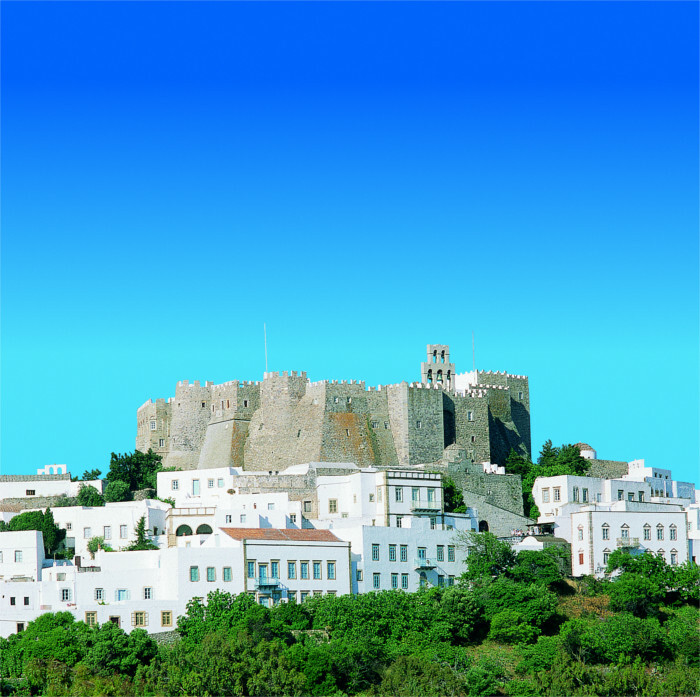 The holy island of Patmos is sometimes referred to as the ‘Jerusalem of the Aegean’. The holy island of Patmos is sometimes referred to as the ‘Jerusalem of the Aegean’. Among the prisoners exiled to Patmos was Evangelist St John the Theologian (also known as St John the Divine), who was brought to the island in AD 95 during the reign of Domitian. The white sand beaches of quiet Kusadasi, a former fishing village on the Turkish coast, are a short, scenic drive from ancient Ephesus and the Terrace Houses, the House of the Virgin Mary, beautiful Sirince Village and the thrilling metropolis of Izmir, about 60 miles to the north. Kusadasi is also home to Adaland, one of the world’s largest and best water parks, and one of the best covered bazaars on the Turkish coast. Ancient Ephesus is rivaled only by the Forum and the Acropolis as one of the most complete classical cities in Europe, even though only 13% of the city has been uncovered. You can wander through the Odeon and the Prytaneion, then stroll between the marble colonnades of Curetes Street to visit Trajan’s Fountain, Hadrian’s Temple and the Scholastica Baths. Ancient Ephesus is only 19 km from Kusadasi along local roads lined with olive trees. One of the 12 cities of Ionia, it is a stunning marvel in the hills above the Aegean coast, one of the world’s largest open-air archaeological museums. Founded by the ancient Greeks circa 2000 BC, Ephesus was the wealthiest of the Ionian cities and one of the most important cultural centres in the Mediterranean. The city was dedicated to the goddess Artemis, and the Artemision, a temple in her honour, took 120 years to complete. It was one of the Seven Wonders of the Ancient World. 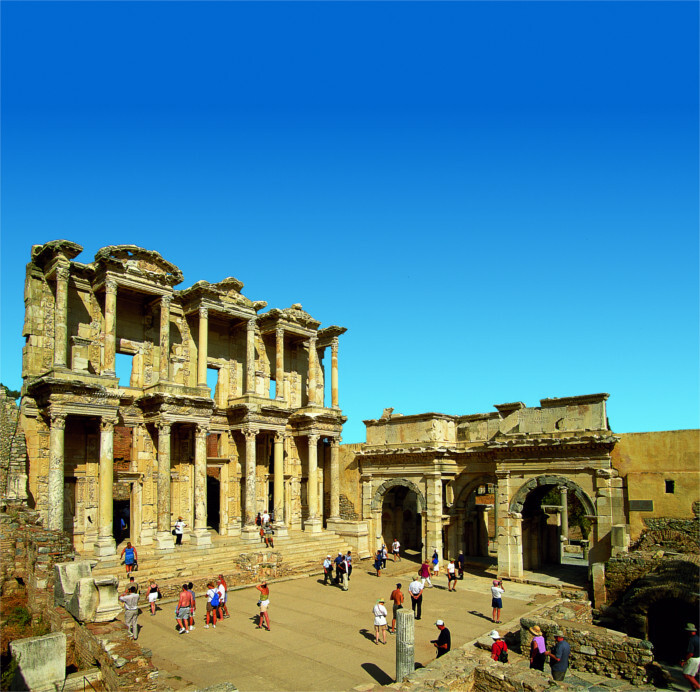 Ephesus later became the second-largest city in the Roman Empire, at one time home to a quarter-million people. It was the first and most significant city in the Roman province of Asia and one of its key ports. Millennia ago, the Aegean receded west, stranding the city on its sun-seared hillsides. It is believed the Virgin Mary lived and died here, and that Paul wrote his Letter to the Ephesians here. It was the most important Christian city between Rome and Antioch. The astonishing Terrace Houses, also known as the Houses of Koressus, belonged to the wealthy families of ancient Ephesus. The oldest of the Terrace Houses date to the 1st century BC – these two-storey structures were built according to the Hippodamian plan of the city, in which roads transected each other at right angles. On the ground floor, the living and dining rooms opened to the hall, and upstairs there were bedrooms and guest rooms. The Terrace Houses even had clay-pipe heating and hot and cold water but no windows. The restoration and preservation of these villas has been remarkable, and many of their intricate, colourful floor mosaics are still intact. Within a few miles of Ephesus stands the House of the Virgin Mary, at Mount Bulbul. Prior to his crucifixion, Jesus Christ entrusted his mother to St John the Evangelist, who took her to Ephesus and hid her in a hut at the foot of Mount Bulbul, where he brought her food and water every day. The Virgin lived here until the 101st year of her life, around 60 AD. In 1957, the Vatican recognised the House of the Virgin Mary as the dwelling in which the Virgin spent the final years of her life, and it has since become an important pilgrimage site for Christians and Muslims. There is a fountain here whose waters are said to be therapeutic. Also a few miles from Ephesus lie the ruins of St John the Evangelist’s Basilica, a cross-shaped chapel built in the 6th century by Emperor Justinian. Modelled after the now lost Church of the Holy Apostles in Constantinople, it was one of the most important Christian pilgrimage sites of the Middle Ages.